Hey everyone, so iv been reading up on G.INP, and i believe G.INP was on eci cabinets for a little while but it was removed as some people reported problems? For anyone here whos experienced G.INP for a little while on there ECI cabinet, how was it? did you gain performance? or lose it? etc etc fingers crossed its back in april 2017! It was enabled on my eci cab line for a short period of time and did increase sync speed approx 5-10% but correctable errors went through the roof I do not know if this is why it was removed. Errored seconds dropped to 0 or a rare 1 per hour. I too hope it comes back to my line. Concerned that 3db is being done before Ginp though it would make more sense for Ginp first to make line more stable then allow reductions down to 3db. I also wish they would allow 3db for upload as that is why I pay for 80/20 but due to crosstalk my upload is being impacted so a 3db target would help greatly. Edit: I had and still have a fastpath line but Ginp did give me an increase in sync even though theoretically it shouldn't - several people do report getting better sync with Ginp even on fastpath so not just me - doesnt make sense but anything to give me back the 40% loss due to crosstalk is welcome. It depends if your line is on fastpath or interleaved with a line using fastpath you won't gain much in sync speed though your errored seconds should be very low, but if your line is interleaved then yes you will gain a lot more sync speed because there is less overheads. Again when G.INP becomes active on the ECI cabinets and find your having problems with G.INP with a third party modem/router make sure the firmware is up to date before contacting your ISP to complain about G.INP ! 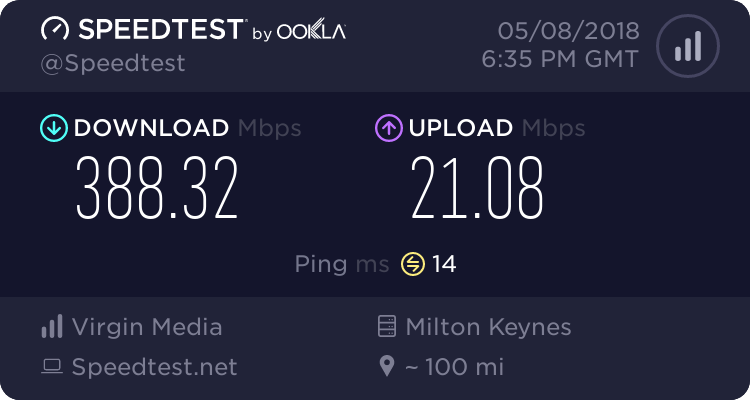 I must have been one of the lucky ones, I saw no issues at all and a very stable line at the fastest sync speeds I have ever had so was very upset when it went away. My d/l speed is now 59995kbps and was 71000kbps. I am using a ZyXEL VMG8924 as both modem and router (single unit). I also had a big jump up (was interleaved) in speeds and no issues. Same for me, it only did good things for my 1.6km line, Im looking forward to its return. Same - gained almost 6Mbps downstream and no issues, shame they removed it. Mine is mct approved already... imagine if the possible updated eci g.inp if it cones only worked with mct approved Modems... - didn't the Asus dsl68u have issues back then..
Was there any improvement to upload speed for anyone? No change in speed for me post-G.INP - I still have G.INP active on an ECI cabinet. What I have benefited from is a lower SNRM which I think happened after a cabinet outage overnight, but the line has been up ever since with the lower SNRM.